↑U.S. 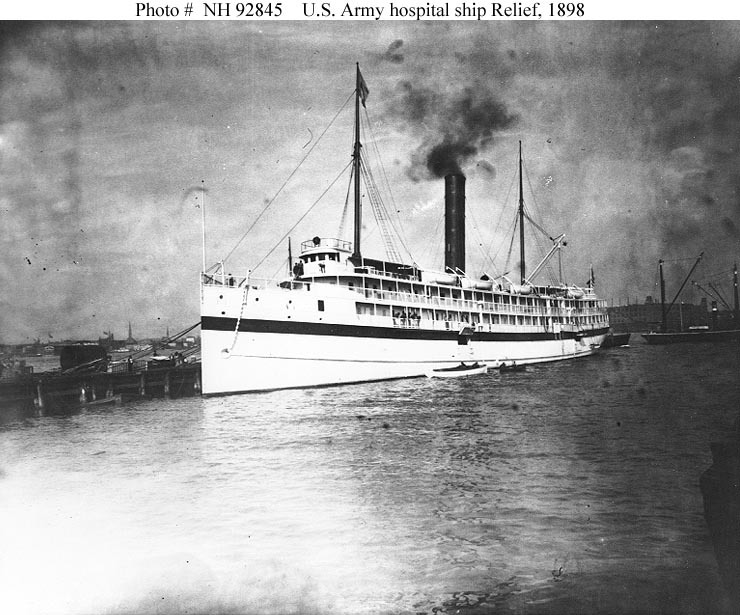 Army Hospital Ship Relief. Photographed at the time of the Spanish-American War, 1898. U.S. Naval Historical Center Photograph. ↑U.S. 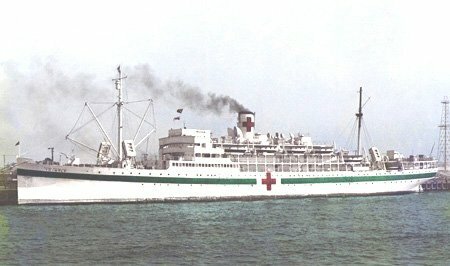 Army Hospital Ship Relief. 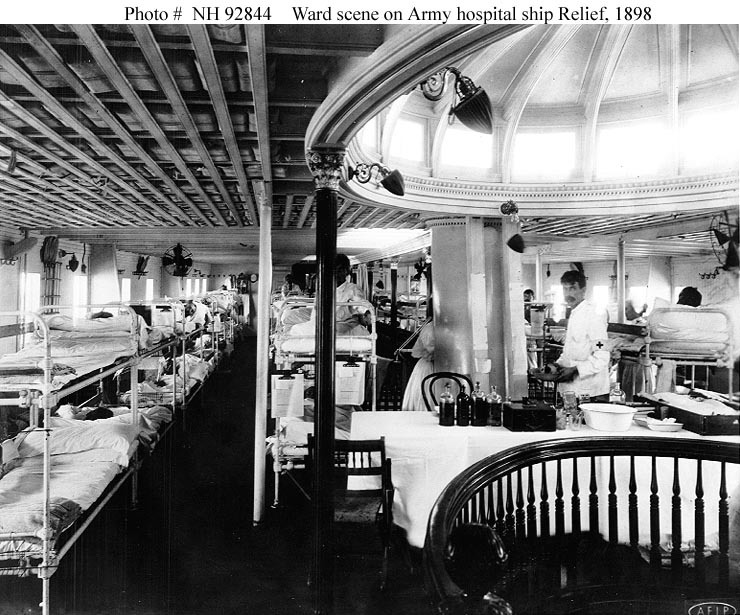 View in one of the ship's wards, 1898, with a large skylight in the upper right. U.S. Naval Historical Center Photograph. ↑USAHS Thistle, date and place unknown. Image courtesy of NavSource. ↑USAHS Dogwood. 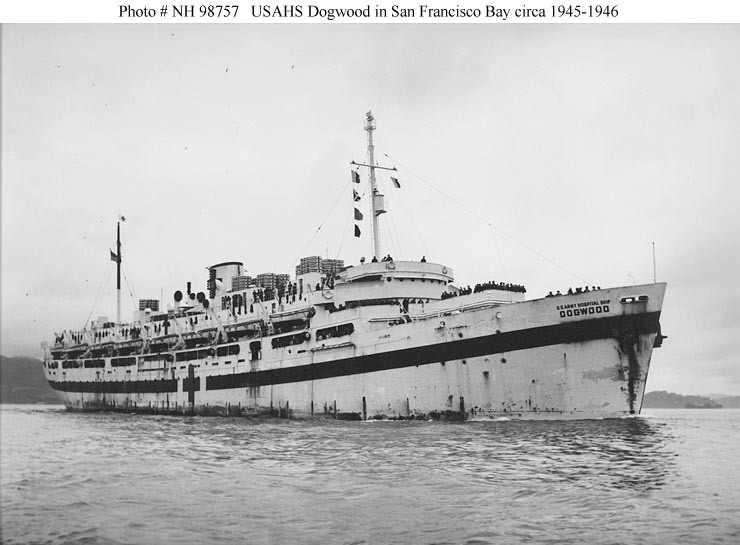 In San Francisco Bay, California, in late 1945 or early 1946. Donation of Boatswain's Mate First Class Robert G. Tippins, USN (Retired), 2003. U.S. Naval Historical Center Photograph.